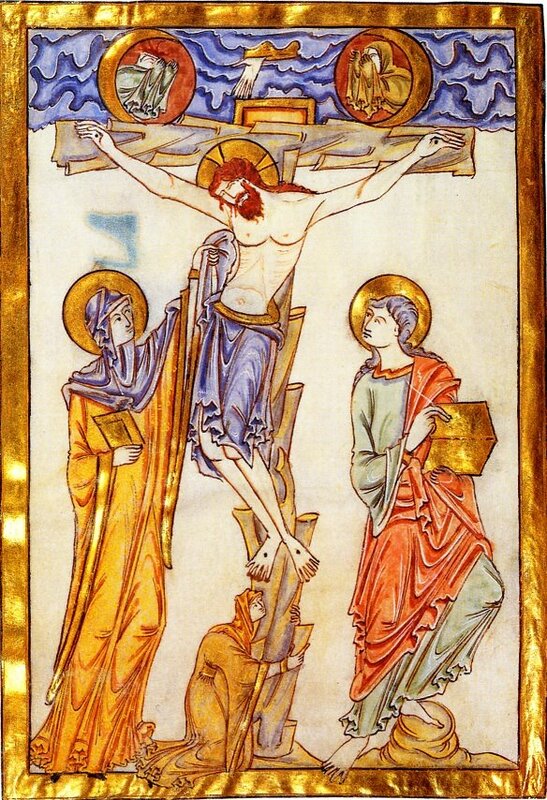 The Crucifixion of Christ is the most represented subject in the history of Western art. And yet its paradoxical nature poses a challenge to the artist: What should an image of simultaneous suffering and hope, ugliness and beauty, shame and glory, look like? Is it possible to emphasize both aspects in equal measure? Over time various symbols, motifs, and figural representations developed, rooted in the Gospel accounts but influenced by contemporary political and theological climates, and drawing too from legend. Victoria Jones will teach us how to identify these elements in art ranging from the Roman catacombs to medieval prayer books to modern art galleries. See how the twentieth century, with its two world wars, transformed the way artists approached the subject of the Crucifixion, and how different cultures and subcultures have made it their own. Left: Illumination from the Gospel book of Countess Judith of Northumbria, England, c. 1030-50. 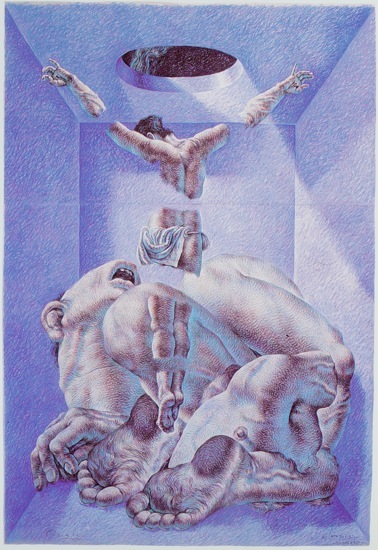 Right: Ricardo Cinalli, Encuentros V, 1994. Pastel on tissue paper, 284 x 195 cm. This entry was posted in Western Art and tagged crucifix, crucifixion art, jesus on the cross. Bookmark the permalink.